Your response to our news about Lorehaven magazine has been incredible. 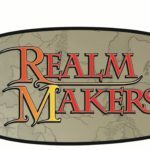 SpecFaith broke the news last week: with our friends from Splickety Publishing Group, we’ve started a new free webzine. It will release this autumn. 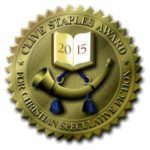 It will reach out to new fans of Christian-made fantastic-genre novels by building reading groups. It’s called Lorehaven. For those of you reading SpecFaith for the first time, welcome to the mission! 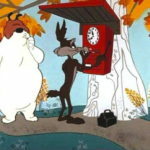 For those of you already awaiting our debut issue: it’s rapidly underway, so pray for us! Your response to the Lorehaven magazine news has been incredible: across reality, email subscriptions, and social network shares. It’s overwhelming yet encouraging to see. Of course, you can subscribe to Lorehaven updates here. Or follow Lorehaven on Facebook, and @Lorehaven on Twitter. Well done, guys. Looking forward to this new publication in the speculative fiction space. @Lorehaven Super excited about this new adventure! Very excited about this venture! I’m excited to see where Lorehaven goes! 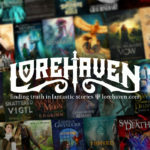 About Lorehaven: Lorehaven helps Christian fans find truth in fantastic stories. Free webzines and a web-based community support book clubs with flash reviews, articles, and news about Christian fantasy, science fiction, and other speculative novels. Lorehaven launches autumn 2017. Visit Lorehaven.com. I don’t quite see what is the difference between Lorehaven and Speculative Faith. How are the two distinct? Speculative Faith is an existing group of volunteer writers, each of whom writes once a week on a subject related to speculative stories and the Christian faith. Lorehaven will be a free magazine with special content (and an editorial structure). It will be available only in digital magazine distribution. And we’ll focus on Christian-made novels for review and enjoyment in book clubs. In the future, you’ll see how Lorehaven‘s website will integrate with Speculative Faith. In my view (and admittedly, speaking as editor and writer here for seven years), SpecFaith is the best source for biblically balanced, fun to read daily articles by our contributors: including Rebecca LuElla Miller (Mondays), Zachary Totah (Tuesdays), Shannon McDermott and Mark Carver (Wednesdays), and guest writers on Fridays. SpecFaith will continue to exist as-is. There’s no need to add a daily content side to Lorehaven — if it ain’t broke, don’t fix it!